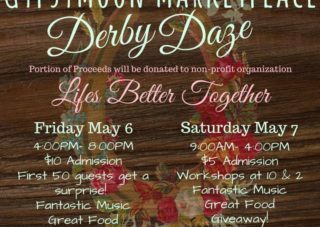 Highland Stables presents GypsyMoon Marketplace: Derby Daze. Gather the family & plan now to attend GypsyMoon Marketplace for a weekend of shopping & fun! When you attend GypsyMoon Marketplace, not only will you be amazed with the scenery but you will find an assortment of handmade, homemade & original creations, vintage & antique treasures, original art, home decor, gifts, funky junk, rescued, entrepreneurs, restored & repurposed Items – Small to Large, local photography, jewelry, apparel & more! We are excited to announce we will be working with the non-profit Lifes Better Together! Their mission is to provide financial assistance and support to families with a child or a parent battling an ongoing illness. This includes direct payments for expenses including mortgage, food, utilities, and transportation. 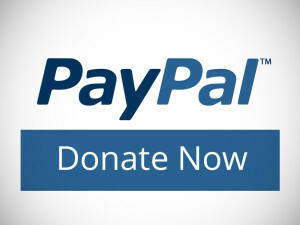 After speaking with numerous individuals facing these fights they have increased their reach to other areas of need. They have a group of volunteers that have committed their time and resources to provide services such as lawn care, house maintenance, pet sitting, house cleaning, and childcare. Their hope is that with everyones’ help families will be able to keep all of their focus on getting their loved one better instead of having daily pressures burden them.